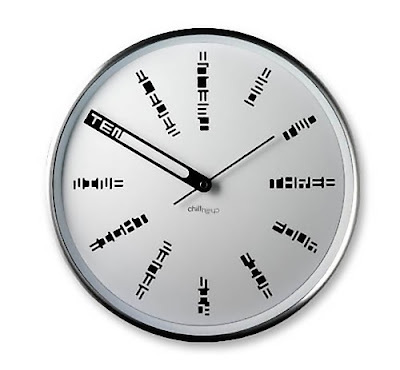 15 Unusual Clocks and Unique Clock Designs - Part 2. 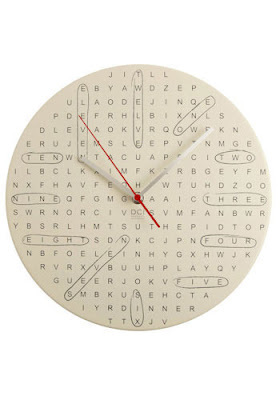 'Unusual Clocks and Unique Clock Designs' from all over the world. Orbit by Buro Vormkrijgers: This clock changes shape like a satellite changes orbit and what more, every minute of every hour orbit creates a new shape on your wall. Find the Time Clock: It resembles a word search, with each circled word spelling out the hour. 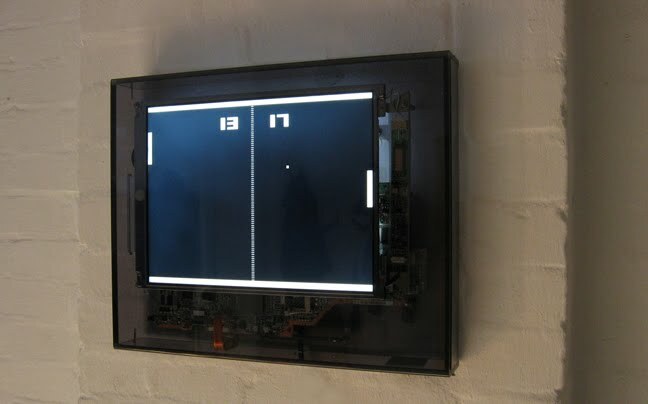 Pong Clock: A very unusual timepiece by designer Sander Mulder; the left player shows the hours, and the right player the minutes. 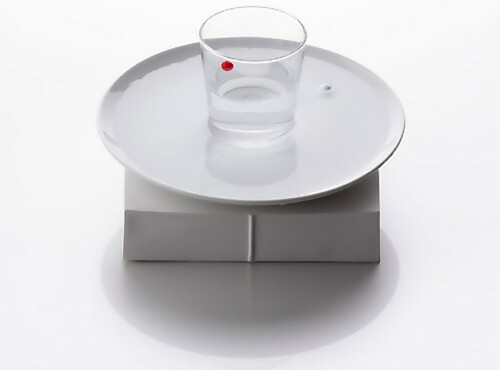 Water Clock by Kouichi Okamoto: It uses water and magnets to tell time and works with any plate, glass, combination that can hold water. 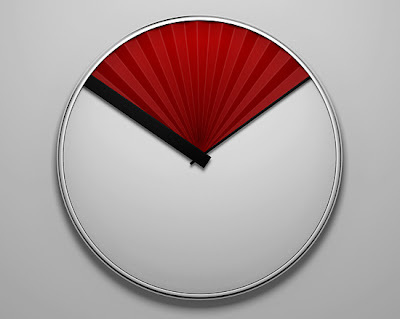 The red ball shows the hours while the white ball shows the minutes. Word Clock: The clock has a transparent display; the red mark indicates the line that should be read to tell the time. 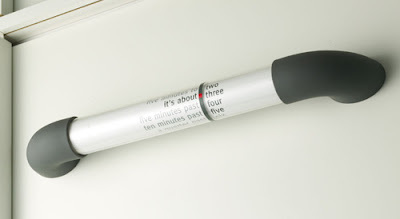 The left side spells out five-minute increments of time. 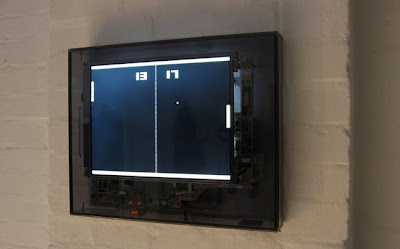 Decodeclock: A unique clock, that can be read only when the minute hand goes over the 'coded' hours. 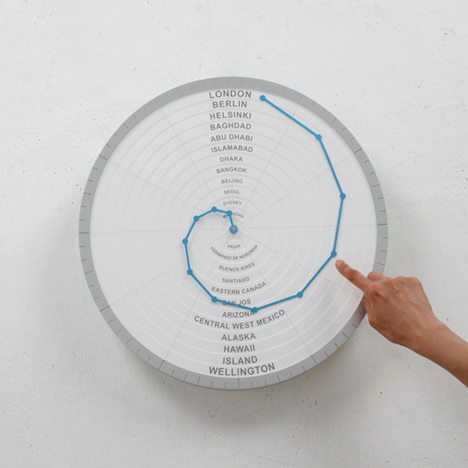 Bent Hands Clock: This innovative clock comes with a single hand that indicates time in different places around the world. 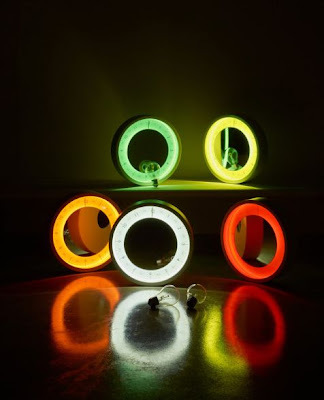 Clock Mirror Lamp: See yourself in the colored light ring mirror and at the same time know what time it is. 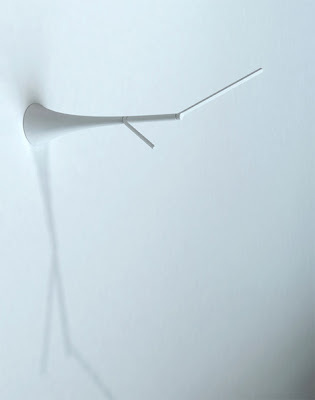 Spire Clock: It takes its inspiration from movement of the Japanese folding fan. 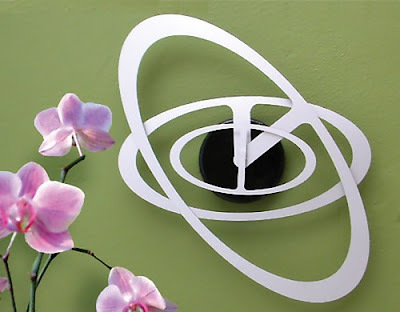 Fan Clock: Designed by Stanislav Katz, it features colored space between the hour and minute hands that looks similar to the folded hand-fan. 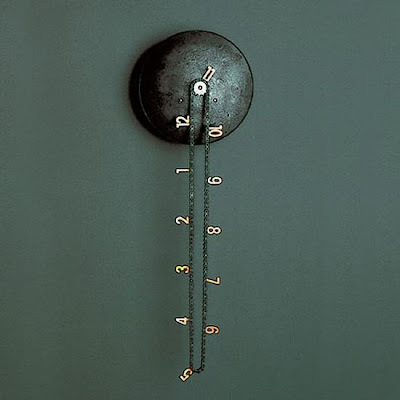 Catena Wall Clock: This wall clock comes with copper numbers attached to a bikechain that rotates around a single motorized gear. 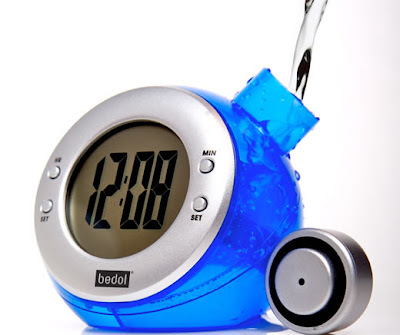 Water-Powered Clock: A innovative timepiece powered by water and salt. 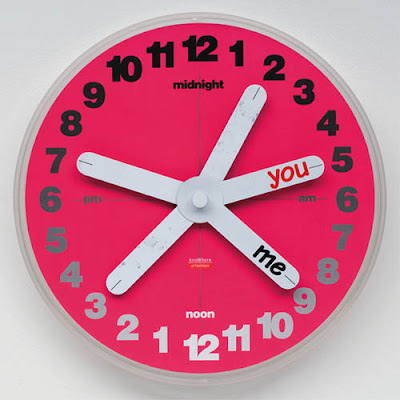 KnoWhere Clock: Creative clock comes with You & Me hands. 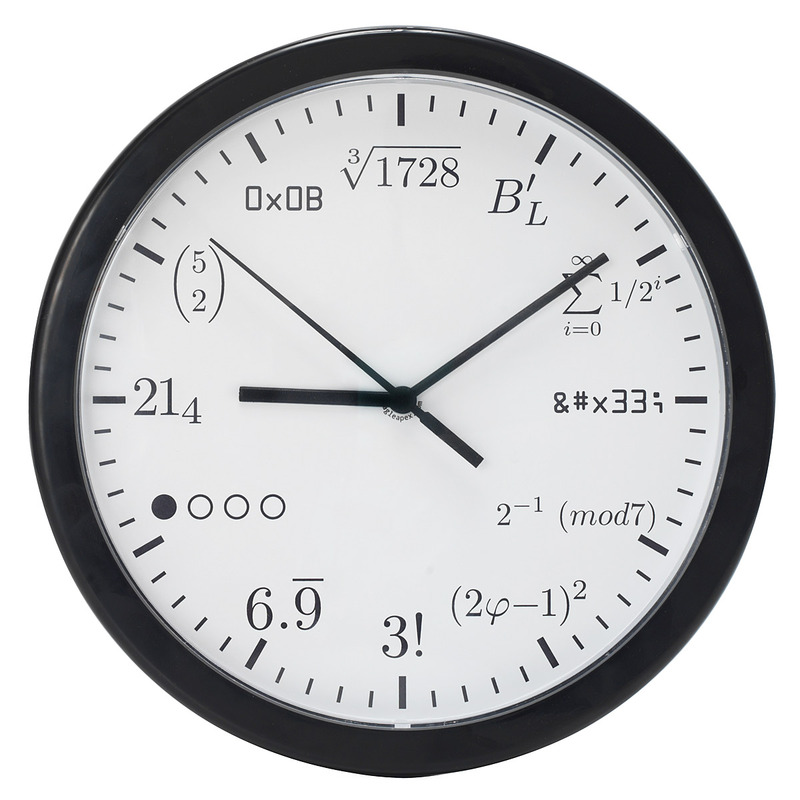 Mathematical Clock: An unusual clock that has all the numerals replaced by the equivalent notation. Don't miss to check out "Unusual Clocks and Unique Clock Designs - Part: 1| 2."